The Chihuly Garden and Glass Exhibition in Seattle Center is pretty darn spectacular and totally worth a visit - there's even a discount for those of us that live in King County! There's an inside portion that just looks out of this world and an outdoor portion that makes my imagination just run wild. An unexpected portion of the Exhibition is the Theater - don't miss this! If you find yourself in Anchorage with a couple of hours to spare, a drive down the Seward Highway to the Portage Glacier is a must do. The Seward Highway itself is a simply gorgeous route, designated as a National Scenic Byway. In it's entiretly it runs the 125 miles in between Seward and Anchorage. If you have time for a full day trip, you can take it all the way to Seward. However, if you're more like me and end up with just a couple of hours to spare you can drive the first half from Anchorage down to the Portage Glacier and take in some great Alaskan views. If you're visiting the Seattle area, have time to make a trip to up to Whidbey Island, and are greeted with a beautiful day - the Ebey's Landing hike is simply a must do. A combination of a hillside and beach walk, this hike is an easy and gorgeous way to spend a few hours. Every single time I've been to Las Vegas I've driven the Red Rock Canyon Scenic Loop. It's only about 30 minutes from the Strip and a wonderful place to decompress from all the bright lights and craziness that is Las Vegas. It's one of the reasons I always get a rental car when I go there, well, that and to get to Whole Foods. The Highline Trail seems to be the best bet for a view-filled day hike through Glacier National Park. 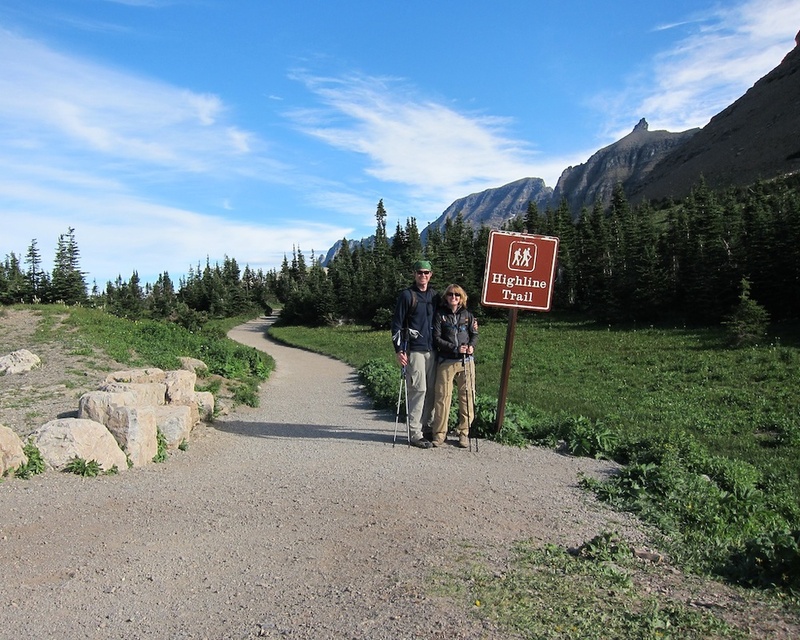 Our trek took us along the main trail's 7.6 miles of relatively easy trail, followed by a 2 mile round-trip spur trail to the Grinnell Glacier Overlook (more on this later) and then a 4 mile descent down the Loop Trail to catch our shuttle back to the Logan Pass parking lot.